You already know that Agra is home to the world-famous Taj Mehal. You might also know about the Agra Fort, Fatehpur Sikri and Sikandra as few other noteworthy monuments which are great reminiscent of the great culture this city of Agra has been. However, food has always been an integral component of any great culture of the past, and Agra is no exception. There is countless food of Agra you must try at least once. With its own dialect of Hindi, Agra also has several unique offerings for your taste buds. 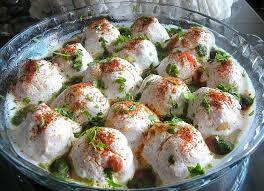 There are several foods of Agra you must try, which will leave an unforgettable taste in your mouth. Bedai serves as a great breakfast dish and sells like crazy at every nook and corner of this city during the morning hours. 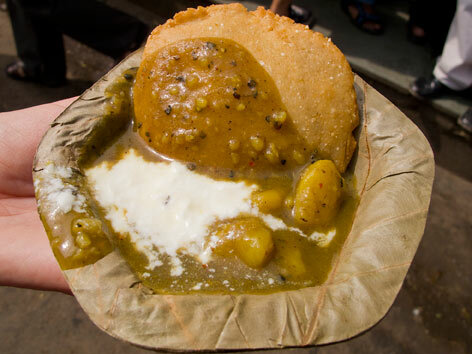 From small stalls to the very large sweets shops, everyone sells fresh-cooked Bedai, a healthier variant of Kachori, with a piping hot, mouth-watering Aloo sabzi. To embellish this party of flavours, Bedai lovers (well, everyone at Agra is) add a hint of curd and sometimes, even a pumpkin dish to the Aloo Sabzi. The combination of Bedai and sabzi is so addicting that many visitors who stay in Agra for few days, they can’t help but eat it every single morning to the extent of overeating. 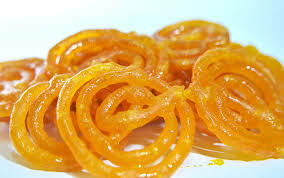 Along with Bedai, the dessert that completes your divine breakfast experience at Agra is Jalebi. Sweet, golden and near-spiral sweet soaked in sugar syrup is served hot and often enjoyed along with your breakfast. It is made with fermented Maida flour by deep-frying in a flat, shallow pan before it is soaked in a sugar syrup, which is often flavored with saffron or rose water. At Agra, you will find Jalebi being sold at every nook and corner, with the variations in the kind of oil used to cook them. The most expensive ones are fried in Deshi Ghee whereas the relatively less expensive Jalebi is fried in vegetable oils. 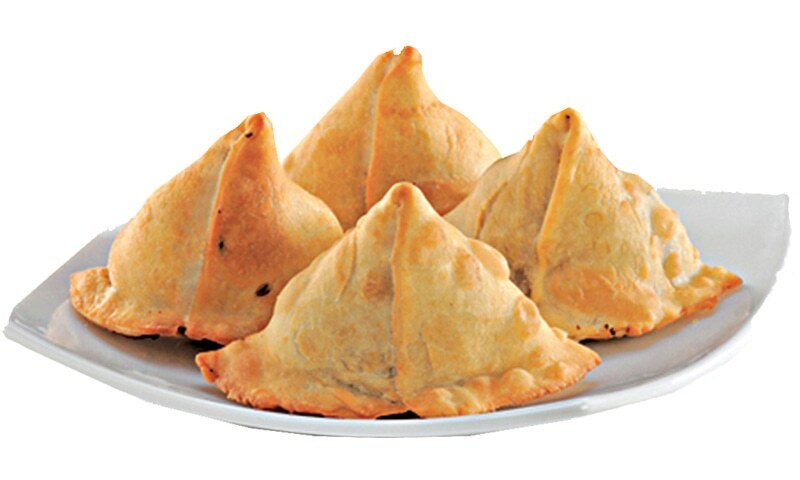 Unlike most places in India where Samosas are available entire day, in Agra Samosas are easier available during the evenings than in the morning hours. The same shops and stalls that sold Bedai in the morning sell Samosas in the evening. Along with the green chutney (the spicy one) and a red chutney (the sweet one), you get various kinds of Samosas at Agra, including Deshi Ghee samosa, vegetable samosa, Peas samosa, dry-fruit samosa etc. Just look around wherever you’re in Agra and you’ll see a place selling these spicy delights, one of the must-try foods at Agra. Various kinds of north Indian chaats, Aloo Tikki (a.k.a. Bhalla in local Agra terminology), Gol Gappe, Kachori, Dahi Vada, Gujhiya and many more, as they are found embellishing the busy streets of the old areas, they are equally mouthwatering. Just take a stroll one of the evenings and indulge in the guilty pleasure. 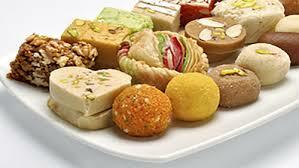 Highly underrated specialty of Agra, Desi Ghee sweets of this city are one of the finest in the country. Although Agra ka Petha has got its nationwide fame, it’s not the only one deserving this fame. There are many, including Pinni Ke Laddu, Gujhiya, the multi-layered Soan Papdi, Mewa-baati, Malai Poori, the fine-grained Boondi Laddoo, several variants of Petha and many more, that will make you immerse in a lake of sweetness.